The iPhone and iPad get the headlines, but not everyone is waiting for new iThings. Though Tapscape has previously reported new Haswell MacBook Pros would ship in October, fresh rumors point to an earlier arrival — pro portables with all-day battery coming soon? Here are the latest rumors. The original story was published by Taiwan’s Want Daily — an appropriate venue, n’est pas?. It got picked up by Japan’s Japanese website EMSOne and this is the punchline: unnamed supply chain sources say Haswell MacBook Pros will begin shipping later this month, which means soon. Sadly, they offer no info on Haswell-powered Retina MacBook Pros. That said, the widely quoted KGI Securities analyst Ming-Chi Kuo is also saying Haswell MacBook Pros will arrive in mid-September. It bears mentioning that Kuo originally predicted new Apple pro portables would ship around the time of WWDC 2013, which was held in early June. It also bears mentioning that both Amazon and Best Buy continue to discount Ivy Bridge (2012) MacBook Pros to clear stock ahead of the eventual release of new models. Lastly, Apple has said OS X Mavericks, the company’s optimized for mobile desktop operating system rewrite, won’t ship until Fall, which officially begins on Sunday, September 22 — it seems unlikely that Apple ship Haswell MacBook Pros before Mavericks is ready. Proof of anything, one way or the other? Nope. As always, never underestimate Apple’s ability to surprise and delight. 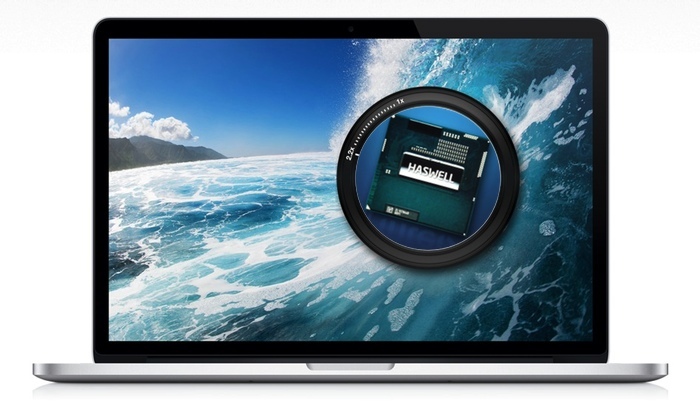 Waiting for Apple’s Haswell MacBook Pro? Hoping for Retina?